Below are the links to download the exhibition, ‘The Offsets Market in India, Confronting Carbon Colonialism’. If you would like to print them, they are 50x70cm, but of course can be modified to A4 pages. them, they are 50x70cm, but of course can be modified to A4 pages. No Carbon Market for Forests! Nam Song is a river-dependent community in Phayuha Khiri district, Nakhon Sawan province, Thailand. 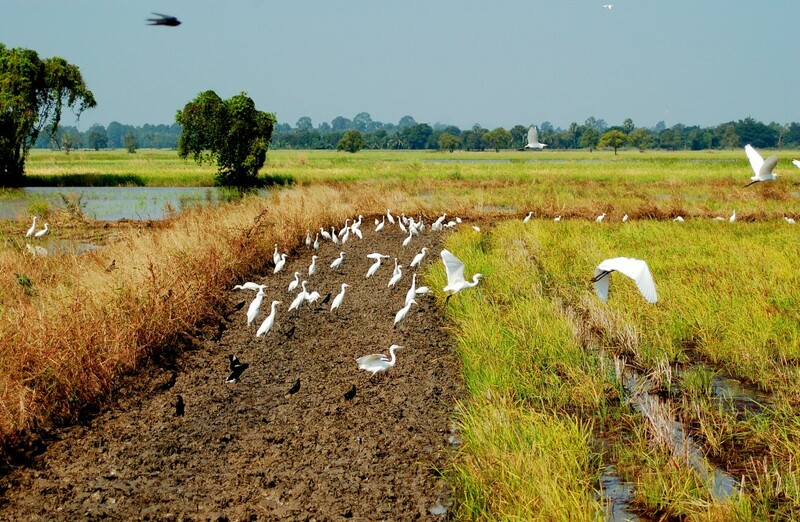 It is located on the fer- tile flood plain of the Chao Phraya River, just downstream from where two tributaries merge at Nakhon Sawan (Heavenly City) and 50 km from the A. T. Biopower plant in Pichit. The main source of livelihood is agriculture, which relies on seasonal flooding. When the water subsides in the dry season, the fertile banks are planted with cabbage, broccoli and other seasonal vegetables. When the water is high in the rainy season, it is used to flood rice paddies, while aquaculture facilities are constructed on the river’s edge. plant in one of their rice fields that would burn rice husks for electricity to be sold onto the grid. The residents learned that A.T. Bi- opower had put forward a plan to build five rice husk-burning biomass power stations with the objective of bundling them to ac- quire CDM financing. Rice husks are a by-product of rice-milling. They have been used for centuries to absorb animal droppings, mostly from chickens. The resultant product is used as an agricultural fertiliser as well as for brick manufacturing. The rice husk and manure mixture creates a healthy balance of carbon and nitrogen which releases minerals into the soil and builds soil content. Rice husks therefore play a vital role in local small-scale agriculture. After months of information-gathering, the Nam Song community experienced a major setback when the local sub-district administration agreed to install the power station in Nam Song. The Thai government requires developers to hold a public hearing with resi- dents before proceeding. At the public meeting, the local government officials and the company consultants met with the commu- nity and asked them to sign their names on a piece of paper labelled “consultant meeting”. The consultants and local government officials added names of villagers who were not in attendance. The company showed the list of names to the local authority, stating that 88 per cent of the 528 villagers who at- tended the meeting agreed to the power plant being built. their divisions, with the whole community signing the letter stating their objections to the meeting and to the proposed power plant. 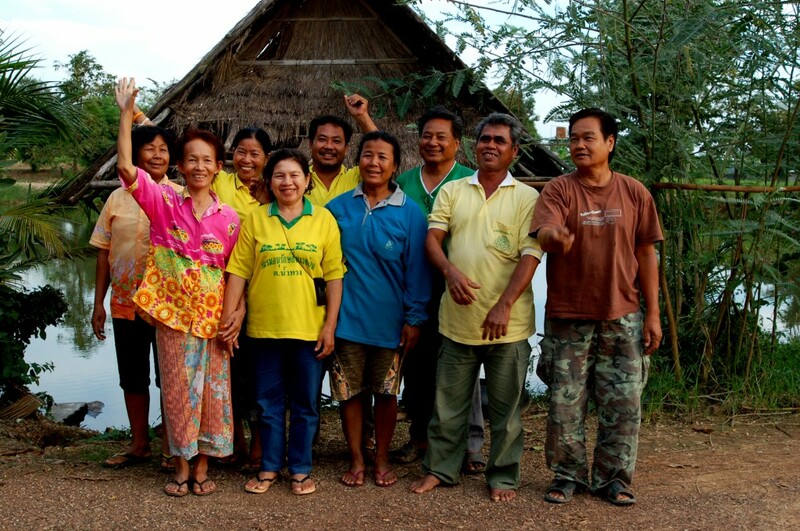 The villagers then created the Nam Song Conservation Club to co-ordinate a full-scale campaign against the project. ‘We do not need factories or development, we live with nature and we like the way things are,’ stated Jongkol Kerdboonma, a member of the club. The Nam Song Conservation Club began gathering research with the aid of other movements and organisations in which the wom- en played a vital role. The villagers sought to show that the rice field was on a flood plain and an inappropriate power station site, and that building it so close to where they lived constituted a threat to the health of the people and the river. The campaign grew to include meetings, door-to-door organising and several rallies of over 700 people outside the provincial government headquarters. The developers used several tactics that are typical in such situations wherein corpora- tions make systematic attempts to disrupt the local community resistance. Members of a community in the nearby Pichit province who also faced the possibility of a new bio- mass power plant were sent by the company to bribe the village leaders, offering them ‘compensation’ to stop protesting. All of the village leaders were threatened by develop- ers and local government, and were told their lives could be in danger if they continued the campaign. Large bribes were offered, and the villagers were repeatedly lied to in an effort to destroy their unity. Despite the project developers investing a lot of time and energy in their attempts to persuade the Nam Song community that the project was beneficial, the community re- mained unconvinced. Promises were made to the community to implement a develop- ment fund and a new health fund. But the promises were met with scepticism by local leaders. ‘Which doctor will tell us that we are sick from the pollution if the doctor is hired by the company?’ they asked. After six years of struggle, and with the help of several outside solidarity organisations, they were able to approach the National Hu- man Rights Commission (NHRC) to request an official investigation. In 2007, the NHRC recommended that the power plant should not be built on the grounds that it was inap- propriate to build on the flood plain, and that it would violate human rights by polluting the river and damaging the villagers’ livelihoods. The A.T. Biopower station was built in Pichit near the fertile banks of the Nan River in north-central Thailand just 50km away from Nam Song. The Pichit power station is a 22 megawatt capacity thermal power plant located next to the community of Sa Luang in Hor Krai sub-district in the province of Pichit, about 200 km north of Bangkok. The power station is located one kilometre from the Nan River and is fed in its entirety with rice husks. The power station is accredited as a biomass energy project of the CDM. The A.T. Biopower project was the first CDM project registered in Thailand, and among the first five for which baseline methodologies were approved by the CDM Executive Board. It is one of 24 registered CDM projects in Thailand to date, with close to 100 more projects in the pipeline. The A. T. Biopower project claims to be replacing power generation which would otherwise require oil, coal and natural gas. It also claims that the resulting ash by-product, which contains high levels of silica – a known carcinogen – will be used for cement produc- tion, further reducing the environmental impact. The local residents complain that they need to keep their doors and windows closed at all times. The company dumps the ash by- product literally on the back doorsteps of local residents. The human rights laws used to protect Nam Song residents are not applicable to the community living next to the Pichit power station and many residents are afraid to speak out against the company. Over 100,000 CERs have been issued already, and by 2020 it is projected that over 1 million offset credits will have been generated by the project. When sold on the market, these might plausibly fetch between US$ 10 and US$ 30 each, with each credit claimed to represent a metric tonne of carbon emissions. Since 2007, CDM wind power projects in India have more than tripled, with over 80 projects registered to date. In fact, wind is the largest single CDM project type in India, with over 300 project applications in the pipeline as of September 2009. 50 million (around m765,000) each. 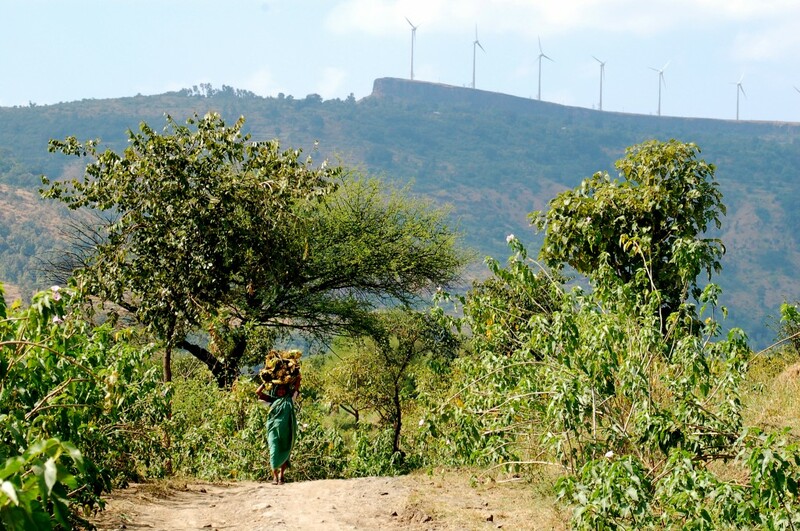 Today the Satara region has more than 1,000 Wind Energy Generators (WEGs) owned by MEDA, Suzlon, Bajaj Auto, Tata Motors and others on an area of about 40 km squared. Cheap land and infrastructure coupled with bulk subsidies at source made the energy fi- nancing easy, but the possibility of earning extra revenue through selling carbon credits benefited the projects further. Most of the projects approved for entry into the CDM al- ready existed prior to entering the scheme, managing to pass through the Executive Board despite providing little evidence that they would not have been built anyway. The private companies operating on the site sell electricity to Maharashtra State Electricity Board (MSEB) at Rs 3.16 per unit while they consume electricity provided by MSEB at a concessional rate of Rs 1.20 per unit. In 2006, Suzlon was investigated by the Indian tax authorities and found to have made false depreciation claims on wind farm equipment to evade taxes, totalling between Rs 700- 1,000 crore (around US$ 200 million). In the case of Satara, second only to Tamil Nadu in terms of installed capacity, it is estimated that the region could produce up to 3,650 megawatts in 28 feasible sites. The plant load factor (PLF) for wind turbines, or what the turbines actually produce, in India averages 20 per cent, which is low compared to global averages. But what is worse, Maharashtra’s average has decreased over the years from 19 per cent in 2002-3 to a low of 11.7 per cent in 2007-8. This suggests that the subsidies attached to building wind farms and greenwashing the effects of owning them are more sought after by the companies than the energy produced by them. Local communities near the high plateau do not receive electricity from the generators. In fact, these lands were once common lands used mostly for animal grazing. Today, people from the local communities are not allowed on the lands and are criminalised if caught on the lands. Bharat Forge Ltd., owned by the Kalyani Group, is a supplier of engine and chassis components. 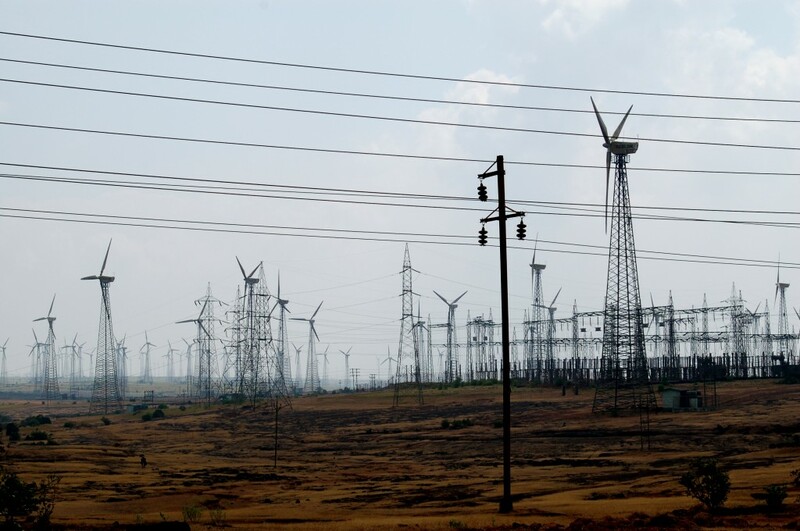 To meet electricity demand at its plant at Pune, Bharat Forge initially planned to build a 4.2 megawatt wind energy power project near the village of Kadve Khurd. The project was registered in the CDM in 2003 for the period of 2001-2008 with a total estimated ‘emissions reduction’ of 60,315 tonnes of CO2 e. The project was renewed for a six-year cycle in May 2009 to run until 2015. 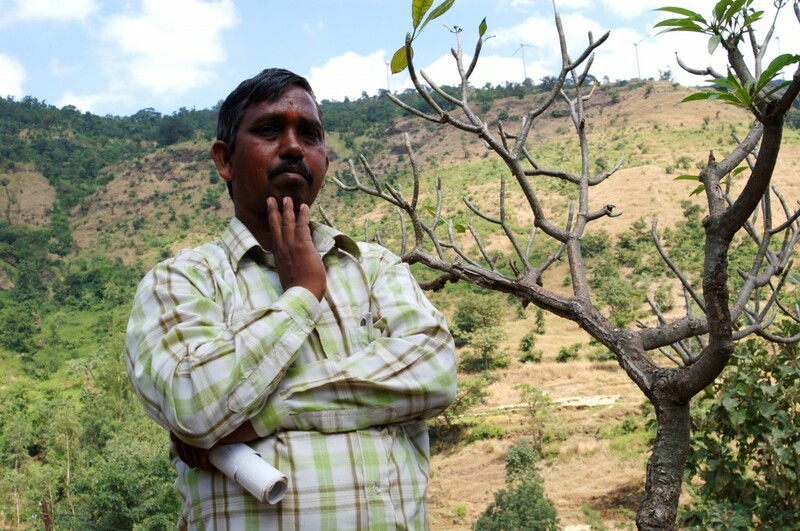 The villagers of Kadve Khurd knew nothing about the wind project before Bharat Forge Ltd began erecting turbines on their lands. Local residents launched strong resistance to protect their lands, which were being forcibly acquired. A total of 30 wind turbines stand in and around the village of Kadve Khurd today, and the community is forcibly kept off the lands. The project occupies largely devottar or temple properties and privately held farmland. The deal for these lands was struck with a village headman whose family has been traditionally holding the land on behalf of the villagers. The villagers had old colonial-era documents dating back to the 19th century but no ‘official’ and ‘new’ title to the land. Accordingly, the company did not compensate them. The local administration refused to hear the villagers’ case, and in vain they sought justice from the Collector’s Court in Pune. The Collector refused to stop construction of the wind turbines and annulled a motion to that effect that had been passed by a lower court. The company, with support from the police, responded by falsely accusing several of the agitating villagers of robbery and equipment theft. In the village, people view the wind turbines as harmful junk that provides no local benefits. It supplies neither electricity nor employment, and destroyed the only common pasture of the village. In addition, the company wielded a ban on cattle grazing in the project area. 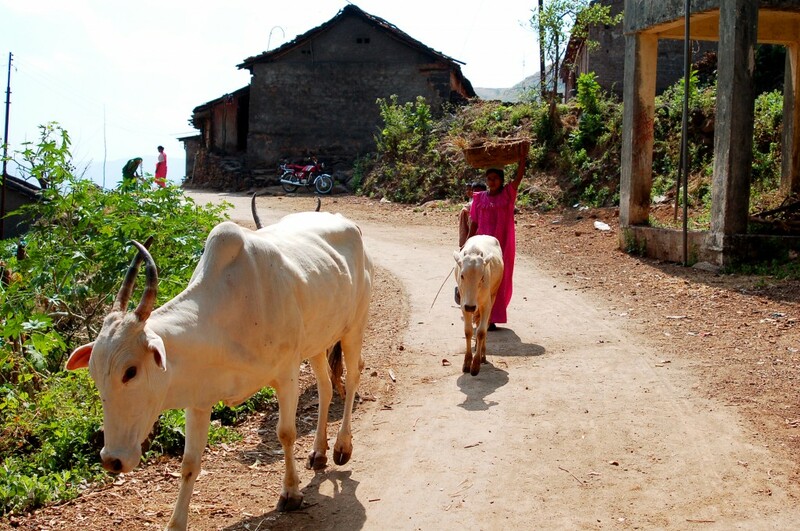 Villagers at Kadve Khurd have never heard of the Clean Development Mechanism or carbon credits. “We showed our documents to the company for our rights to the land and the company then showed us the ‘deed of sale’ to the land. This document was signed by someone in Pune and it is a faulty document because no one in the village ever agreed to this or signed such a thing. All of us [from the village] tried to stop the construction and the company went to the police station in Tanali. The police would not accept their complaint so they went to the Umbras police station and filed charges against us for property damage of 50,000 rupees and other materials and for stealing windmill materials. The police came at 2 am to take 15-20 of us to the police station. Most were held for three hours but they kept me for a day. The lawyer from the company went to talk to me at the police station but I refused to cooperate and the police got angry. They were going to beat me but I threatened the police and they let me go. The police said that they forgave me and let me free. Reducing Emissions from Deforestation and Degradation (REDD) schemes are among the most controversial within the climate debate. The concept assumes that deforestation hap- pens because too little economic value is placed on intact forests, and that providing money for conservation to forested countries in the South will help to protect them. This concept is challenged by many Indigenous Peoples (IPs) and forest communities, who warn that putting a price on forests will en- courage further land grabs by large compa- nies and governments and that this is already the experience of some REDD pilot projects. Many IPOs and forest peoples’ organisations stress that the real drivers of deforestation are the major construction, mining, logging and plantation developments whose owners stand to be rewarded by REDD funds. tries have started their own REDD funds, positioning themselves to reap the profits of a new global climate agreement. A number of private conservation funds and voluntary off- set projects have also established new REDD schemes. The Kampar peninsula is located on the is- land of Sumatra and holds nearly 700,000 hectares of land covered in peat swamp for- ests and mangroves. But 40% of its peat- lands are already covered by monoculture tree plantations. Most of the peninsula has been handed out in a series of logging con- cessions since the 1970s. Companies cut canals through the peat to extract the tim- ber. Although logged, the forests retain high biodiversity. Surveys by Scale Up indicate that 33,000 people depend on the Kampar peninsular’s forests for their livelihoods. 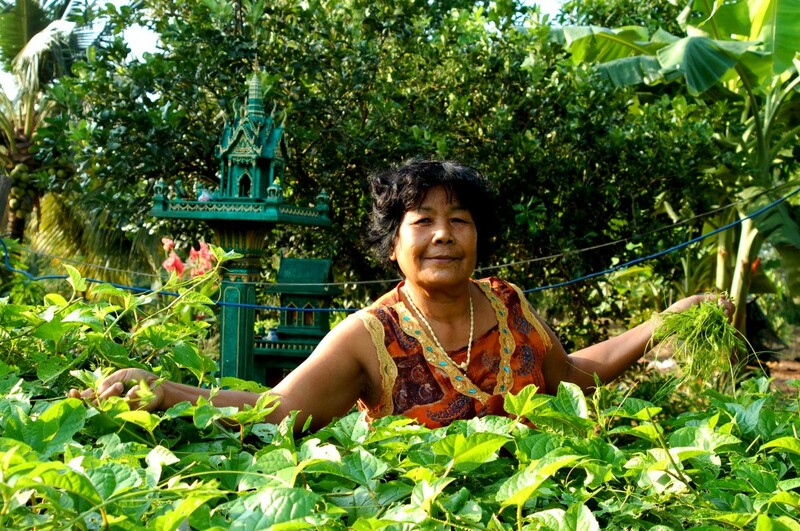 The communities, including the Akit and Melayu Indigenous Peoples, have strong ties and customary rights to the land. APRIL is one of the world’s largest pulp and paper companies. Its subsidiary PT Riau Andalan Pulp and Paper (PT RAPP) produces 2 million tonnes of pulp a year at its 1,750- hectare complex near Pangkalan Kerinci in Riau province. PT RAPP plans to double the capacity of its pulp mills, meaning that the company is looking to massively expand its area of industrial tree plantations to feed to the pulp mills. PT RAPP has proposed to plant 150,000 hectares of additional acacia plantations to supposedly “protect” the remaining forest from the local communities, who they accuse of illegal logging. The company refers to this deforestation as “planting a community ring”. The ring would clear almost half of the remaining forest, and the company would be awarded further concessions for its industrial tree plantations. PT RAPP is seeking carbon payments through a REDD project for the remaining forests in their concession. The company claims that this plan would reduce emissions from the peninsula by about 14 million tonnes of CO2 per year and estimates that this “can be valued at US$17 million per year under the proposed Reduced Emission from Deforestation and Degradation (REDD) scheme”. Local communities have been struggling with RAPP for many years but the prospect of further financing from carbon payments through REDD exacerbates an already continuing conflict. 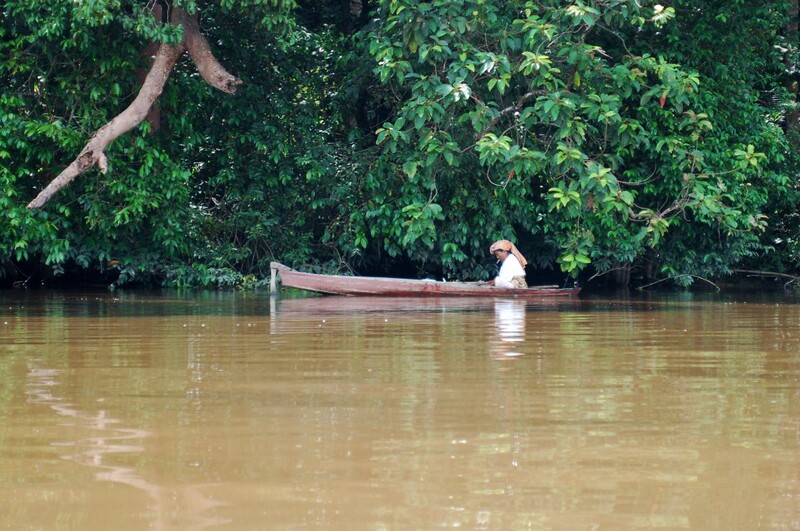 One of the impacts of monoculture tree plantations are the canals built by the company used to transport logs from its plantations into the Kampar river which are then transported to the pulp mill further upstream. The village of Teluk Meranti resisted the ex- pansion of RAPP lands in late 2007. The communities resisted when the government illegally issued permits, saying that the lands could be felled and industrialized because the peatlands are less than 3 meters deep. 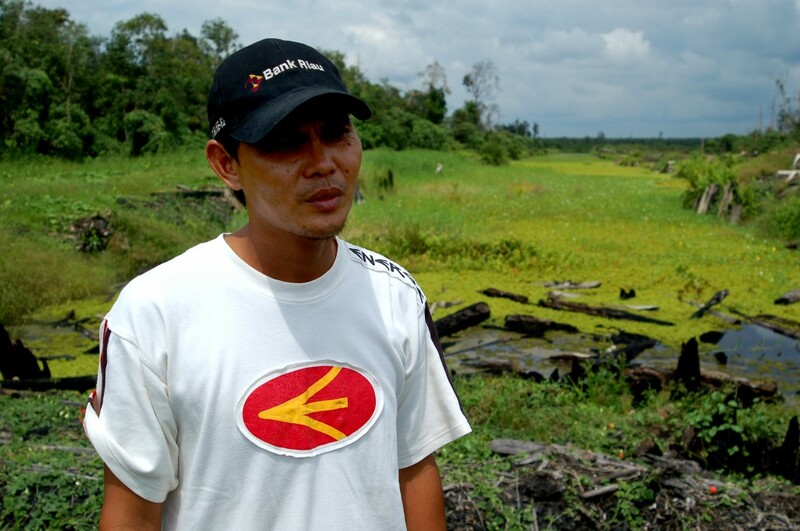 The communities and activists produced measurements showing the peatlands to be over 6 meters deep. 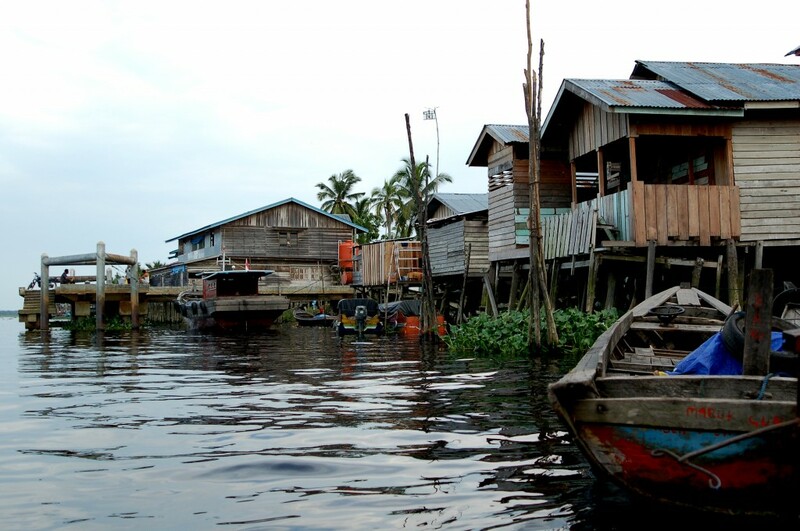 The community has dammed over 15 canals to re-flood the peatlands. 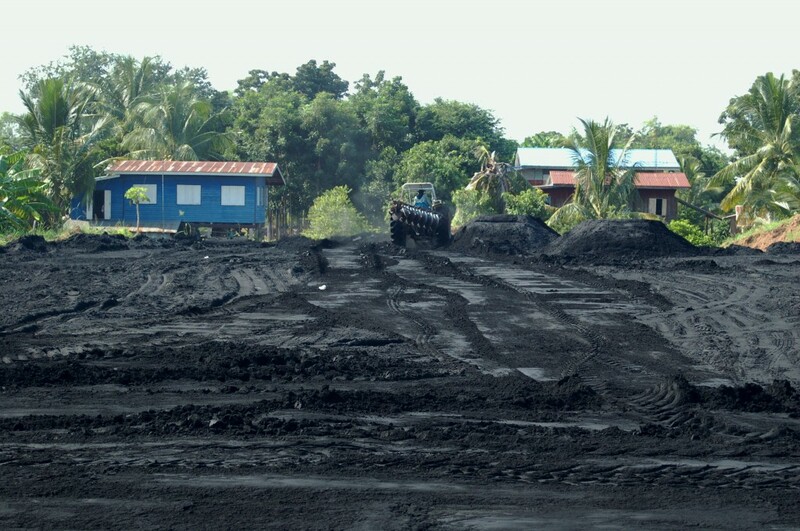 On 20 June 2009, the community of Teluk Meranti wrote to PT RAPP pointing out that they had lived on and used the land that the company planned to converted into plantations since long before Indonesia’s independence. They have seen the impact of PT RAPP’s operations on other communities and therefore reject PT RAPP’s presence on their lands.